They say an apple a day keeps the Doctor away but no one likes a brown apple. Today we show you how to stop cut apples from turning brown and it’s not what you think. If you love your apples, you know that keeping them from turning brown is the bane of our existence. Today, we show you a fantastic apple hack that stops cut apples from turning brown. It’s one of 5 fabulous apple cutting techniques that you won’t want to miss. It is so simple, that it is pure genius. We’re pretty sure why Grant Thompson aka ‘The King of Random’ has had over 10 million views on his youtube channel for this single video. 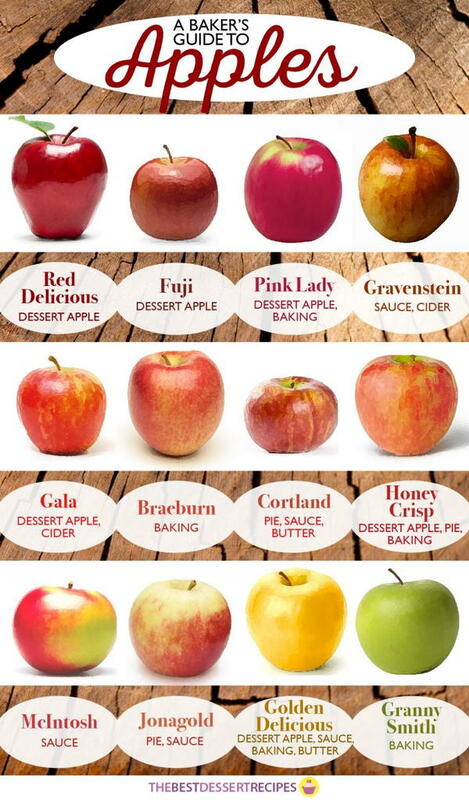 Before we share Grant’s video, we thought you would appreciate this Bakers Guide for the best apples to use for your baking. As you will see they are broken up into pies, sauce, butters, desserts and even cider. This infographic from The Best Dessert Recipes will come in very handy. Be sure that you Pin it. Grant is a whiz when it comes to everything. You might remember that we shared his Diaper Super Soil which was hugely popular.